I was about to get it online when I came across this set. It was $34 for three products, and just two of them would have been $38 if I got them separately soo I decided to go for it. 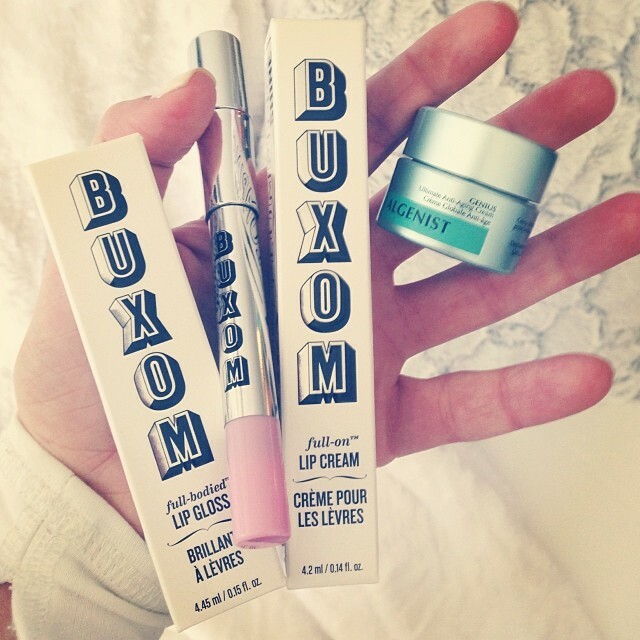 You can’t ever just go to the Sephora site and get only what you need. I always end up with a lot of extras in my cart. 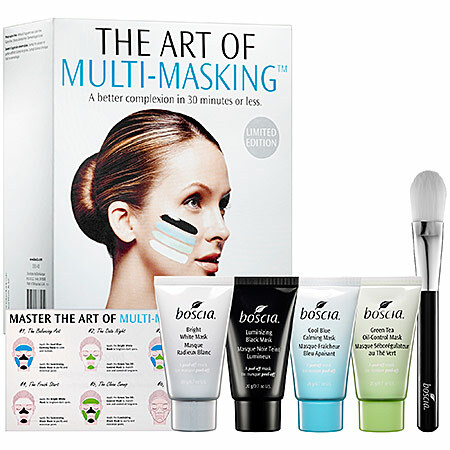 Boscia’s “The Art of Masking is $42 and comes with 4 different masks. I think the coolest thing about this set is how it suggests how to combine the masks on different parts of your face for different skincare concerns. I’ll sometimes do one mask after another but (like an exfoliating mask before a clay one) but I never do different masks in different areas a the same time. I think even if I don’t get this kit I’ll copy their method and try combining the ones I do have. -“The Balancing Act”: Cool Blue Calming Mask on forehead and cheeks, and Luminizing Black Mask on T-zone and chin. -“The Date Night”: Bright White Mask on forehead and cheeks, and Green Tea Oil-Control Mask on T-zone and chin. -“The Post-Flight”: Cool Blue Calming Mask on forehead and cheeks, and Green Tea Oil-Control Mask on T-zone and chin. -“The Fresh Start”: Bright White Mask on forehead and cheeks, and Luminizing Black Mask on T-zone and chin. -“The Clean Sweep”: Green Tea-Oil Control Mask on forehead and cheeks, and Luminizing Black Mask on T-zone and chin. If you’re not interested in the Green Tea mask, this kit comes with the other three in a slightly larger size (1oz vs. 0.7oz) for $38. I also recently picked up this kit from REN, which is quickly becoming my favorite skincare line. I had sampled the Glycolic Lactic Renewal Mask and wanted to get the full size, so I picked up this kit because it came with the full size and some extra goodies for only $3 extra. I read a review that said the Resurfacing AHA Concentrate caused someone to break out and tried it anyway. Mistake. 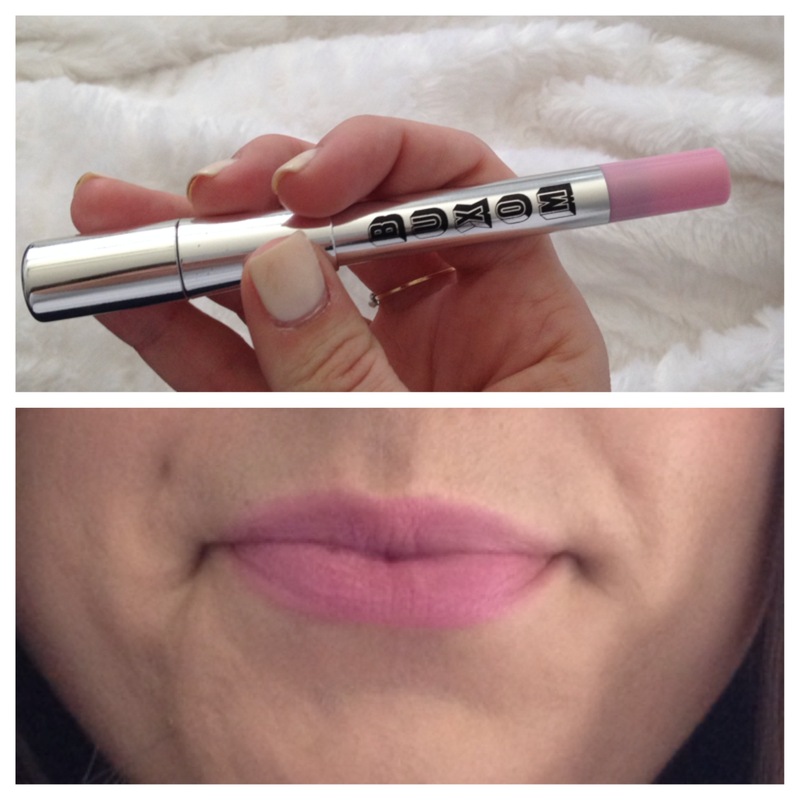 It does make you break out. Even though I really only cared about the Glycolic Lactic Renewal Mask, I’d still recommend getting the kit so you can try out the extra products for only $3.